"This coffee combines the best aspects of a full natural and a washed coffee...perhaps the sweetest coffee we've roasted in a long time." After trying three of the top offering from One Line Coffee Roasters in Columbus, Ohio, it is evident that One Line focuses just as much on sourcing as they do roasting. I've been drinking a lot of One Line recently, and really like what I'm tasting so far. I will be posting reviews of their Costa Rica Las Lajas Alma Negra and Ethiopia Biftu Gudina soon, as well. Their attentiveness to sourcing is refreshing and appreciated, and their consideration of the origins of these coffees, from coffee varietal to processing, goes a very long way. 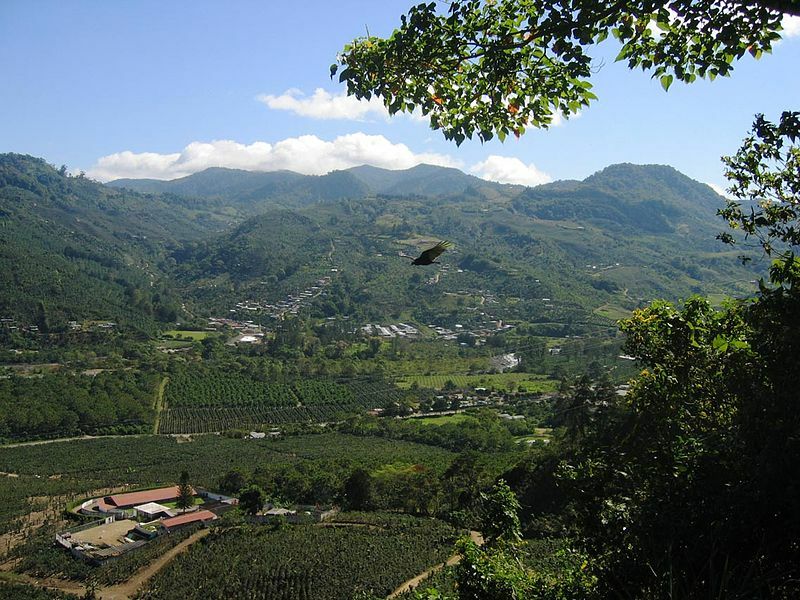 This coffee comes from Finca Desamparados, the farm of San Jose's Jhonnathan Camacho. One Line is roasting right in the sweet spot of the West Valley's harvest season, between late October and early March, so you know you're getting some of the freshest Central American coffee you can try during this time of year. This San Jose is quite a complex cup, hitting some sweet high notes while maintaining a nice, medium-roasted balance underneath. The floral aromatics of the coffee was very reminiscent of a chamomile or lychee tea, and really stood out in cupping. My favorite part of the coffee was the distinct strawberry flavor I noticed repeatedly from regular inverted Aeropress brews, a sweet, juicy flavor that balanced beautifully with the unique aroma. Though there is a distinct acidity, the sweet fruitiness balances out, bringing out a pleasantly harmonious maple syrup aftertaste. The coffee really shined when brewed by inverted Aeropress; if you're not sure how this method is different from the traditional Aeropress plunge, check out this quick tutorial from The Roasters Pack here. I enjoyed a at least eight solid and consistent brews from this coffee over the course of a few days. The coffee didn't perform as well as I would have liked in the French press, however, bringing out quite a bit of bitterness that did not harmonize well with its inherent acidity. However, I did notice some nice earthiness with the latter method; the coffee definitely can be tuned to your individual coffee taste buds! One last thing I wanted to note was the 'black honey processing' method that Jhonnathan Camacho used with this Costa Rican crop this season. According to Grace Mena of Deli Cafe in Costa Rica, there are three different honey processing methods: yellow, red, and black. A yellowish color is achieved after 8 days of drying, red after 12 days, and black a week after that. Black honey processing is usually done under a black plastic tarp while turned on raised African-style beds. This coffee was processed by the black honey method, which is generally considered to be more laborious and expensive, but resulting in a more complex and rich brew. Thanks a lot to One Line Coffee for letting us try this Costa Rican; check out more of their roasts and information here. Stay tuned for their Costa Rica Las Lajas Alma Negra and Ethiopia Biftu Gudina coming soon!